Springtime in Northern California can definitely call your name for a nice drive on a mild sunny day. Sometimes, my husband, children, and I head to the foothills of the Sierra Nevada for a lovely day in Nevada City or to "the other wine country" in Plymouth, California. Each are just a short drive from Sacramento. On this particular Sunday in April, we chose to hop in the car and head toward the Bay Area. We hit some pretty heavy traffic on Interstate 80. By the time we were in Fairfield, California, we'd decided to head to Napa as it was much closer than San Francisco or even Fouth Street in Berkeley, California. 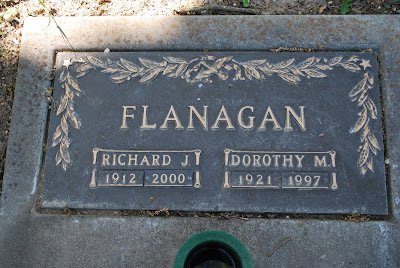 Our plan in Napa would be to visit the cemetery and find my Flanagan's.....all of them. I knew that with our children with us that our time would be limited. My McLaughlin's, Vienop's, and the rest of the list would have to wait for another visit. When I visit my Vienop's and Borchers', I would like my aunts with my Mom and I as they know where everyone's graves are located without having to contact the main office at the cemetery. In my quest to find my family tree, I know that visiting a cemetery or two is certainly in the plan. I originally emailed Tulocay Cemetery asking if they could help me find some relatives who are buried there. That was Summer of 2010. The director asked who I was looking for. I sent him a list. He was surprised at the length of the list but also by how many people that he knew on the list. As a longtime Napa resident, the director knew a good majority of the people listed on the spreadsheet that I'd sent him. From Flanagan's (about 15 of them), Fratessa's (3), McLaughlin's (3), Vienop's, Borchers', Reidenbach's, Ruffino's and more, there are over 25 people listed. 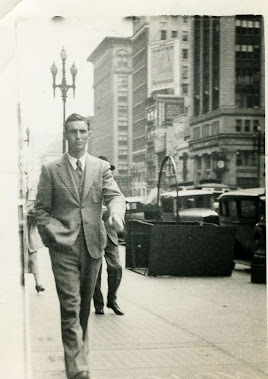 He was very specific that he had known my own grandparents (Richard and Dorothy Flanagan) and some Vienop's. He suggested that I come and visit him on a weekday. I haven't actually made it there on a weekday but did make it there recently on this Sunday afternoon. Upon arriving at the cemetery, I immediately had my husband drive over to where I thought my grandparents were buried. I got out and walked over to a large oak tree. I did not find their graves. I felt a little turned around as it had been 11 years since I'd been to this location. We ended up going to the office where a staff member helped me located all of the my Flanagan's. I was in the correct place to find my grandparents but had been looking on the wrong side of the tree! My grandparents (Richard J. Flanagan and Dorothy Borchers Flanagan) are buried in Block 153, Lot 23 (which is really quite near block 140), at Tulocay Cemetery in Napa, California. Next to them are Ellen Maxwell Flanagan (my grandfather's sister), my great grandparents (Jack and Minnie Flanagan - John Francis Flanagan and Mary E. McLaughlin), and Gary Flanagan (my mother's brother who passed away as a toddler). 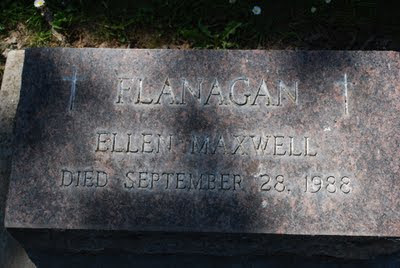 I found six Flanagan's rather quickly and took photos of their headstones. 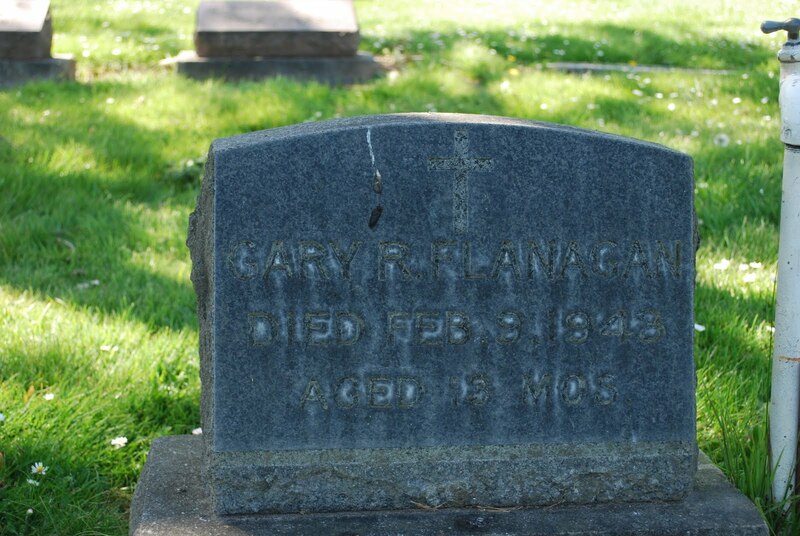 It is hard to read Gary Richard Flanagan's headstone in the photo. At the cemetery, his is the vertical headstone in this location, the rest of them are much more level to the ground. Gary's headstone says "Gary R. Flanagan Died Feb. 9, 1943 Aged 13 Mos". Even now that does just break my heart as I know it did my grandparents when he passed away. I went looking for Kay Flanagan Fratessa (my grandfather's sister), Joe Fratessa, and their daughter Anne but did not spot their headstones. My children were waiting in the car and getting antsy plus I wanted to get to where Patrick and Kate Flanagan are buried. That location has been a mystery in the family for years. How much of a mystery? Well, when I asked where they were buried, the cemetery was able to find them but they do have unmarked graves. As for the Fratessa's, I have been to their graves before and next time I will have my mother with me to point them out so I may photograph the headstones. 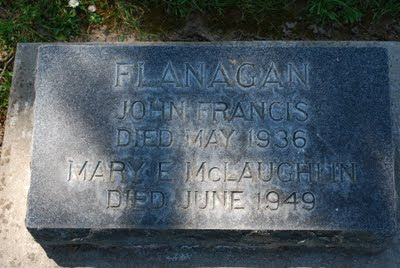 May I just add one more thing about this Flanagan family plot at block 153. It is under a beautiful tree alongside a road in the cemetery near the new main office and chapel on the premises. It is a gorgeous spot.